The 5th Premier Geocoin Race is in the planning stages. Only 1 event will be used this year to start the race. All other rules and categories remain basically the same as PGR IV. * A race owner can possibly enter 6 entries (see PR-1 under Pre Race Rules). 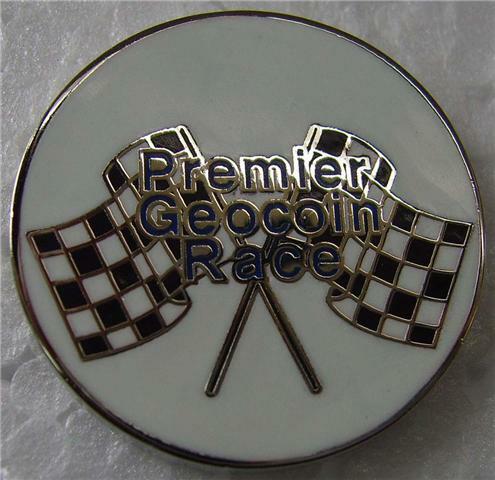 * For the first time non-trackable geocoins can be used (see PR-2 under Pre Race Rules). For details on the new things and more information point your browser to Premier Geocoin Race and click on PGR V.
You can post comments or questions here. You can also send me a PM/e-mail. Hmmmm, no one interested this time around? Hey, the less people that enter, the better chance I have of winning, right? I wasn't clear on one thing ... if I enter 3 racers from the sponser, will I get the extra, or only if I enter 5 racers including the 3 from the sponsor? It can be 3 from the sponsor and the other 2 from them or anyone else plus the extra for a total of 6. Hope this makes sense. Sleep is minimal right now. I'm in, for sure! I didn't see your original post b/c I was out of town. I am still "just getting" back into the swing of things, but I will get my coins ready and off to you soon! Thanks so much for organizing, and I'm a sucker for races, so I'm stoked for the 6th racer! My sister, Echo Echo, and I are definite entries into PGR V. We are just waiting on our coins - supporting the sponsors! - and then we will send them off to you for drilling, Shilo. Anything to get more geocoins into circulation and out of shoeboxes, eh?! Where is the address of where to send the coins located? Well, more likely one coin. My collection is too puny to be able to send out 5. Shilo is our contact for this race. If you contact him through gc.com, he can answer any and all questions about PGR. akaMomster - if you want 3 more coins to make it up to five, please let me know! I'm back from my personal business. Sad but the worst is over now. aka Momster--I will pm you my address in a few minutes. Keep the interest up and post your comments and questions here or send me a PM! I have an interest. Please send me HTML code for the coin and address for mailing. Will do Thanks for the tip. What a kind offer. I participate in the races just for the fun of it rather than the competition, though, so I'm happy with just my one or two. Maybe they will surprise me, be lucky and do well. Thank you very much just the same! I am digging through my coins looking for some travelers and getting them activated. I will be sending you 5, and you will throw in number 6 for me ... right? Let me know the details (address) and also the html code. Please send me your address etc when you get time. I was wondering though. Are those cachekinz things allowed? Cachekinz™ are unique trackable tag that you can attach to items and follow their migration around the world! I'm going to say no because they say tag and looks like the idea behind travel bug dog tag. But I suppose they could be attached to a non-trackable geocoin. But our sponsor is making a tag for this purpose as well. E-mail with my address on the way. My coins for PGR V arrived today, all in support of the race sponsors. Are you ready to receive coins for drilling, or should we wait a bit? And go ahead and send them now. The earlier the better for me as I can get them ready now and not have to bust my behind later. Just mark them as 'missing' if you don't want them in your inventory list. I believe I have all requests answered and questions replied to. If not please let me know. I'll be around all weekend and NOT working!! Had some more interest and replies sent. You have to edit your racer and add the code AFTER the activation process. If you add the code during the activation process the html tags will be lost and the type will be all bunched up. Found out today that those of you who qualify for the 'extra' racer from our sponsor, that they are in production. I believe they will all be sent to me to keep shipping costs to a minimum. I will then send the tracking number and activation code to you to activate and then I will prepare them for the race. I can take pictures for those of you who would like one to put on the coins page. I'm seriously considering using the May date to start the race to give more time for entrants and mailing. The April date is quickly approaching and I don't want everyone to be rushed(or me!!). Good luck to everyone in the race so far!! No one is officially entered yet because racers haven't made it to gasoline alley yet. Still painting and weatherizing the place. This sounds like fun. I would love to enter. I'll have to see if I can buy 2 or 3 coins. I want to send at least 1 for me and 1 for my son (looking at geokids coins, but the ones I like say they won't be available for 3-4 weeks.) and maybe 1 for DH if he would ever pick a name, that isn't taken. I may just have to settle for one for DS though. There is one coin that I really like, but I just know if I ordered it I'd never be able to let it go. Kind of like the few I've ordered so far. I will be mailing out 10 racers to you: 5 for me and 5 for my sister, Echo Echo. All are activated and ready to go, although a few will need drilling. All are oakcoins - thank you for continued sponsorship of the race! - and so we are looking forward to seeing photos of the six "special" racer! Your racer and prize donations arrived yesterday. Thank you very much for the prize donations. I will get them on the website today if I can keep the urge of caching away Found 12 yesterday and want more!!! Just let me know if you need my address for mailing. I'm not sure if I sent it to you already. Updates include Prize section to give donations proper credit and the entry list as I receive them. Count me in!!! I have already let Shilo know and gotten the needed info! quick update: these were mailed out YESTERDAY, 15 March. I have delivery confirmation on them, so if they don't show up this week we can track them. 10 coins total, all from Oakcoins - fun fun! For anyone interested in participating in the race, I have some extra Oakcoins that I would be happy to donate to your racing team! I'll activate them, send you an adoption request, and mail them to the race start - it's that easy! If you are into launching geocoins into the wild, watching them travel, and like the spirit of competition, please contact me through my gc.com profile. Better do this quickly, as the race will start before we know it AND I am headed overseas for the first half of April. I got your coins today. I will post them on the website tomorrow. I sent ya an e-mail with my snailmail addy. If you need help with activation just post your questions here and someone will help you. Its an easy process once you do it the first time. I can drill your coin for you. I have a race tag I attach to it so everyone knows it is in a race. There is a picture on the PGR website under PGR IV or PGR V. I stamp the race number into it so everyone knows what race it was entered into. If you have any other questions just post them here and I will answer them. Got a box from you today. May 8, 2010 will be the start date at Fort Yargo State Park near Winder, GA. 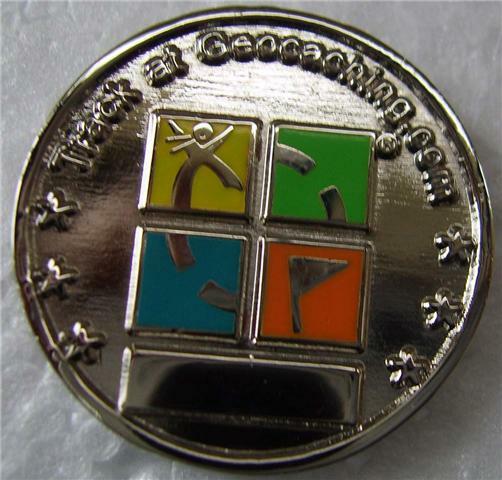 The launch will be held in conjunction with the regular Georgia Geocachers Association(GGA) May 2010 meeting. 24 race entrants now in gasoline alley. A bunch more in the shipping stage. 2) Updated PGR V Race Control to reflect race dates and launch location of PGR V.
They are here along with the other 3 that were sent. I am interested - I think this will be a family contest for us. I ordered some coins and when I get them, I will activate and turn them around to you ASAP, Shilo. Can I get the "info" from you? Thx. The 1 inch special micro coins are here!!! I will be contacting qualified race owners with tracking #'s this week so you can go retrieve your activation code. Please send me the TB# or a message when you set up the GC page so I can ya to the entry list. Also, If you sent me a PM or e-mail and I didn't respond to it before this post please let me know. Please let me know when they are activated and I will get them posted on the entry list and tagged for the race next month.